Why a REScheck is the most important part of your project. Rescheck,Manual J, Manual D, Manual S | $79 RESchecks & Manual Js. $79 Any Plan. Any State. Why a REScheck is the most important part of your project. Very few items in your home cost you money month after month. Your energy bill is one of them. One simple void, miscalculation, or wrong material used in your new construction could easily cost you a million dollars over the life of your home and here is why. Let’s say you are 30 years old and you plan to live in the home you are building for the next 40 years. Your husband, wife, contractor, or architect convinces you to skimp on the insulation, windows, doors, and garage doors of your home. This will “save a little money” on the total cost of construction. Then without performing a REScheck report, because your local building department did not require one, you build the home. This home leaks energy day and night, summer and fall, spring and winter. In all, it cost you an extra $255 per month over what a properly insulated and RESchecked home would have cost to heat and cool. Now let’s imagine you built an energy efficent home and took this $255 per month and added it to a new 401k. This retirement account starts with a zero balance at the age of 30, and you continue to contribute the $255 per month energy savings to your account for the life of your home. How much you would have saved? A whopping $1,054,810 over the life of your home (assuming 9% average annual return). I am not a financial adviser. I do know that not all energy saving gimmicks are worth their while. 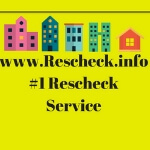 I do know that a REScheck report undertaken at the correct time on your project can save you a boatload of money over the life of your home. Sometimes enough to retire comfortably on. Not many items in your home will make you pay a monthly fee. Your energy bill is one of them. Another item is your water bill. Just imagine for a second that there was a leak in your plumbing, or even worse, when your plumbing subcontractor built the plumbing systems for your house, he left leaks everywhere. You would never allow plumbing leaks in your new home and you would do whatever it takes to fix them immediately so you would not damage your home and pay for water that is going to waste. Now just replace the plumbing system above with the insulation envelope of your home. An inadequate wall, ceiling, window, or door can allow your precious dollars to flow right out of your home and wallet. This would be very similar to the damage that a water leak could do to your home, but since it is invisible it is less recognized. We set up a scenario above where a young home owner builds their first home. 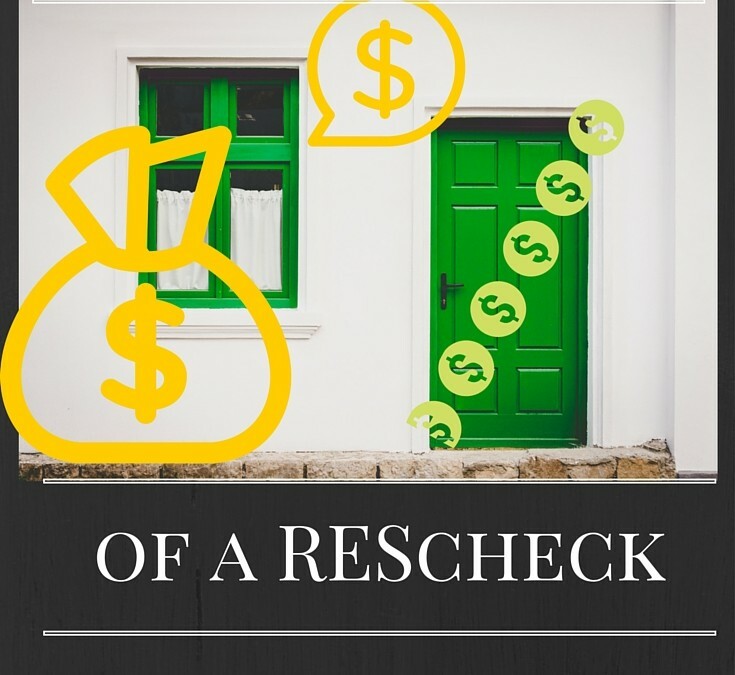 This showed why a $79 REScheck might save you over 1 million dollars over the life of your home. If you have any other interesting ways to save money on the new construction of a home we would love to hear them. Please send them to us Facebook, Twitter, Houzz, Google +, or Pinterest.